Skinny Impossible Apple Pie Cupcakes is HEALTHY and EASY apple dessert RECIPE for fall baking season. It’s great dessert idea for Halloween party and Thanksgiving dinner table, too. If you like ooey-gooey impossible pumpkin pie cupcakes, you should try this apple version. Healthy, skinny, clean eating dessert is something you should make for your family, especially if you have kids. You should take care of health and clean eating habits. But that doesn’t mean that you can’t have delicious dessert that’s healthy at the same time. When it comes to fall baking, I’m always more in the mod for delicious apple treat than for pumpkin dessert. Therefore, I decided to turn my OMG Pumpkin Pie Cupcakes into delicious Skinny Impossible Apple Pie Cupcakes. First, I made a batch of impossible apple pie cupcakes following completely my pumpkin pie cupcakes recipe. I just replaced pumpkin puree with unsweetened apple sauce and added cinnamon in place of pumpkin pie spice. These cupcakes turned out great. I was very satisfied with their taste and texture, too. But a few minutes later, an interesting idea came to my mind. I should turn these cupcakes into a healthy dessert. I was curious to see how it will all turn out in the end. Following clean eating guidelines, I substitute all-purpose flour with whole wheat flour. Then, I chose healthier sweetener, organic coconut sugar instead white sugar. Also, I substituted evaporated milk with almond milk. In the end, instead regular whipped topping, I topped these cupcakes with vegetable whipped cream. Finally, I drizzled some maple syrup and sprinkled chopped pecans on top. And I was in a win-win situation. 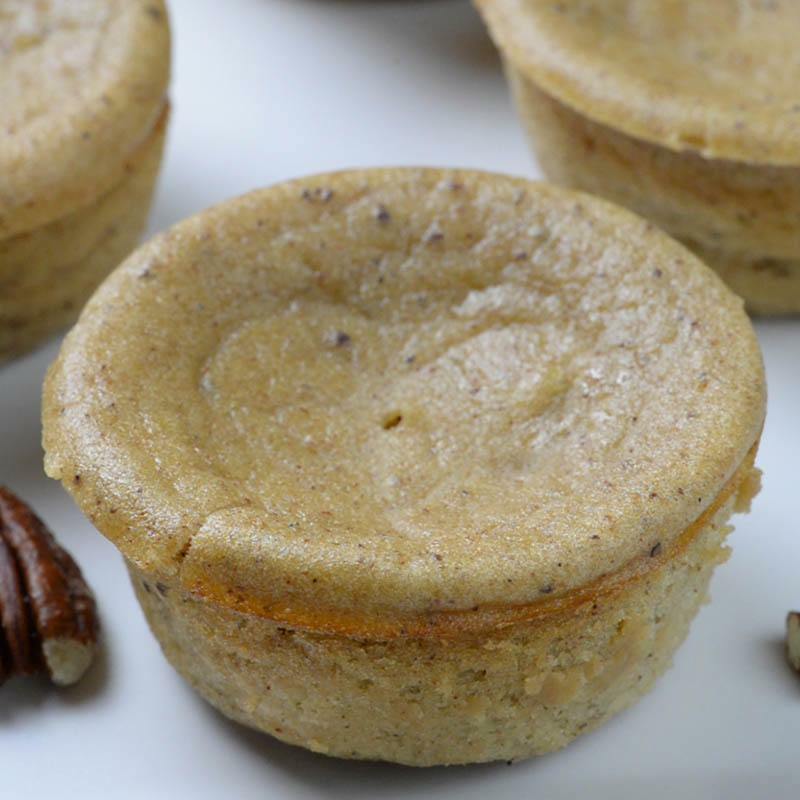 Skinny Impossible Apple Pie Cupcakes are tasty, but also a very healthy dessert as well. 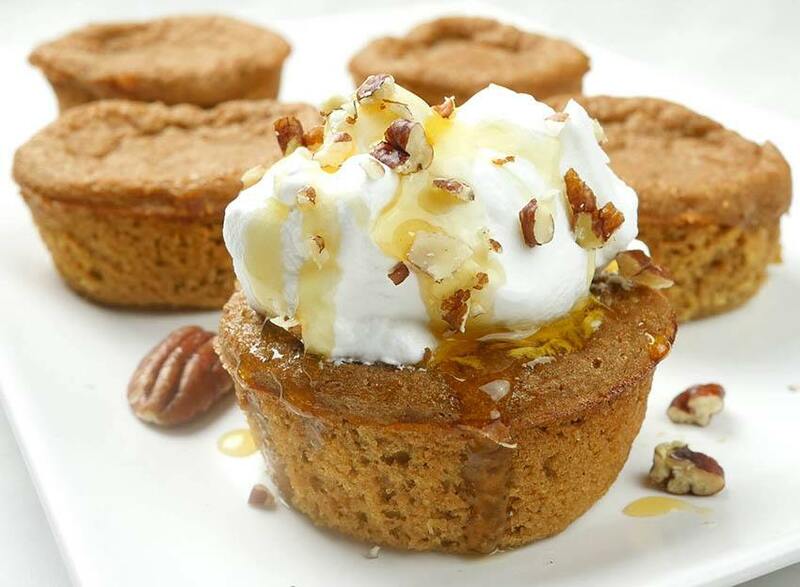 If you take care of your health or you are on a diet, these Skinny Impossible Apple Pie Cupcakes are perfect solution. It’s a clean eating type of dessert. To sum things up, I tried Impossible Apple Pie Cupcakes with regular ingredients (all-purpose flour, light brown sugar and evaporated milk). After that, I made the skinny version with whole wheat flour, almond milk and organic coconut sugar. Both were very delicious!!! Of course, they have some different, but more in texture than in taste. The first ones were sweeter and the texture was more like a custard. Second batch with whole wheat flour has a bit airy and chewy texture, comparing to the first one. But they were also very delicious and like classic impossible pies. Finally, it’s your choice. Whether you make regular or Skinny Impossible Apple Pie Cupcakes, I think you’ll love them. 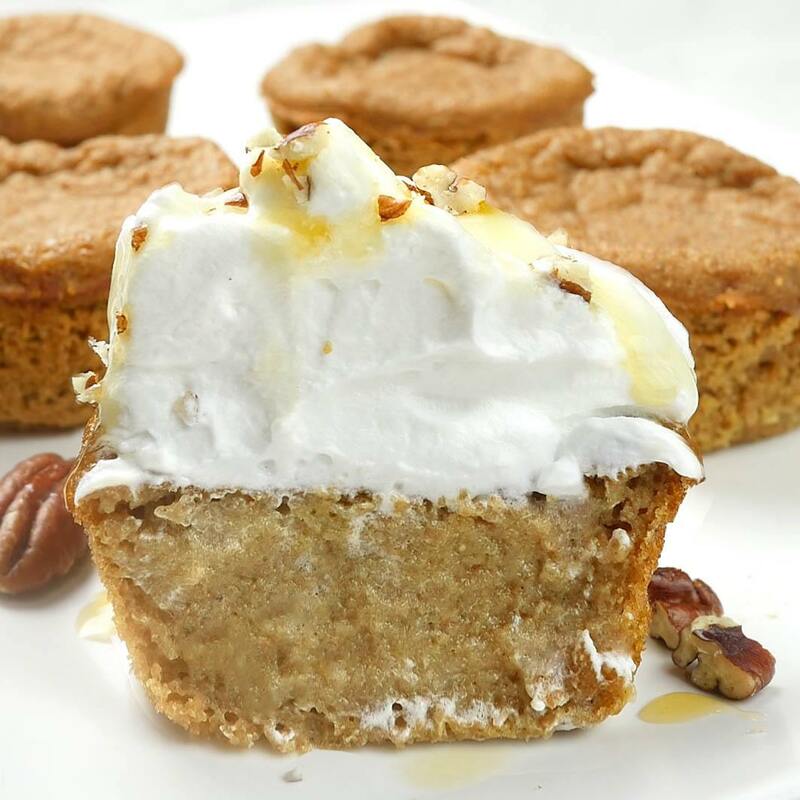 Skinny Impossible Apple Pie Cupcakes is HEALTHY and EASY dessert RECIPE for fall baking season. Preheat the oven to 350 F. Grease generously standard cupcake pan with non-stick cooking spray, set aside. In a small bowl whisk together whole wheat flour, baking soda, salt and cinnamon, set aside. In a large bowl whisk apple sauce and sugar until the sugar completely dissolve. Add egg and whisk just to combine. Add almond milk and vanilla and whisk just to combine. Fold in dry ingredients until evenly incorporated. Pour 1/3 cup of batter in each cup. It should be more than ¾ full. Bake about 20 minutes, until the top has set and toothpick inserted in the center comes out almost clean. Let the cupcakes cool in the pan for 10 minutes. Then run a thin knife around each cupcake and gently lift it and transfer on a rack or plate to cool completely. The cupcakes sink a little and get a small cavity in the center as they cool, but that’s OK.
Before serving top them with whipped cream, chopped pecans and maple syrup if desired. You can use all purpose flour instead whole wheat, light brown sugar instead of coconut sugar and evaporated milk in place of almond milk. These look great. 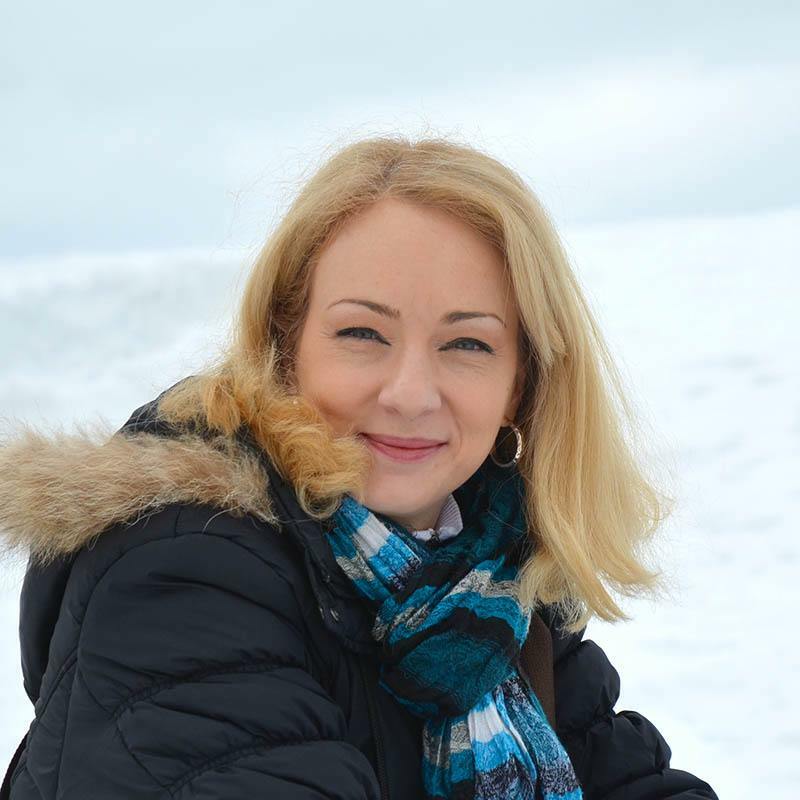 Do you know the nutritional infortmation? Sorry, I don’t have that info.